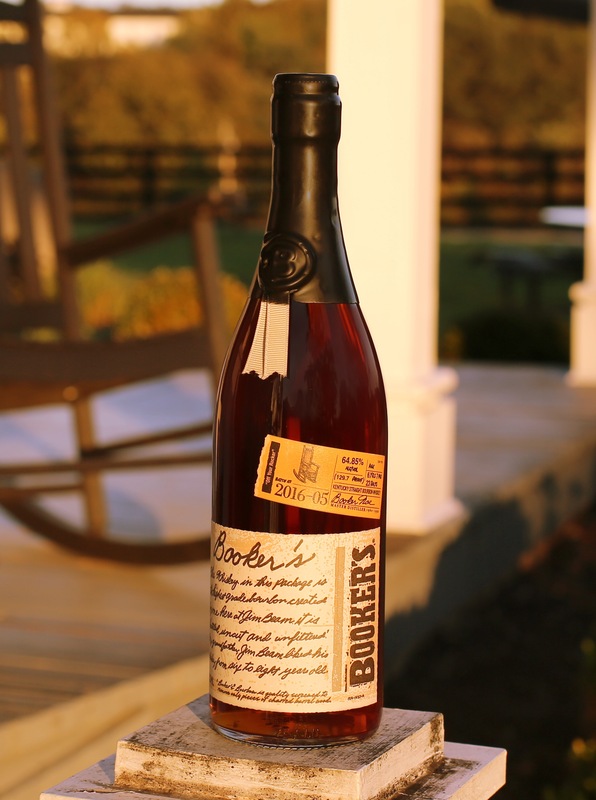 As autumn hits us, so does a new batch of Booker’s bourbon. The fifth batch of 2016, “Off Your Rocker,” references both late Jim Beam Master Distiller Booker Noe’s favorite chair and his lively personality. A statue of Booker sitting in a rocking chair can be found on the grounds of the Jim Beam distillery. As for the man himself, he was known as a straight shooter and a funny guy. I just started reading a new book about Booker’s life – “The Big Man of Jim Beam” by Jim Kokoris. So far, it’s a great read about an interesting, larger-than-life man. I’ll share some thoughts on the book soon. In the meantime, let’s talk about the whiskey. Booker’s bourbon is always bottled at barrel strength. This batch comes in at a high 129.7 proof. The youngest barrels in this batch are 6 years, 7 months, 23 days old, and all barrels come from four different rack houses. One thing that’s common among all batches of Booker’s is a big vanilla note. “Off Your Rocker” is no exception. Buttered corn grits, vanilla and molasses play big on the nose. That high proof is evident on entry at first, ever so slightly numbing the tongue. Your sense of taste quickly recovers and experiences big vanilla, cornbread, and cinnamon & allspice notes alongside some oak, roasted peanuts and a touch of leather. I’ve never detected leather as a tasting note in Booker’s until now. (After several tastings it’s still there.) The finish is long and warm, as expected, and carries caramel corn and oak notes. Thanks to Booker’s Bourbon for the sample. As always, all thoughts and opinions are my own.